The Shared cM Project is a collaborative data collection and analysis project created to understand the ranges of shared centiMorgans associated with various known relationships. As of August 2017, total shared cM data for more than 25,000 known relationships has been provided. To add your data, the Submission Portal is HERE. I am always collecting data, and perhaps the next update with have 50,000 or 100,000 relationships! This August 2017 update is the second update to the original data, released in May 2015, and includes many thousands of new submissions. There is MUCH more about the project, including histograms and company breakdowns in the PDF download. Sample Histogram from the Shared cM Project (all histograms available in the PDF download): ... Click to read more! This post was inspired by an excellent post from Lara Diamond today entitled “Long Segment–But No Close Connection“. What is DNA Segment Frequency? 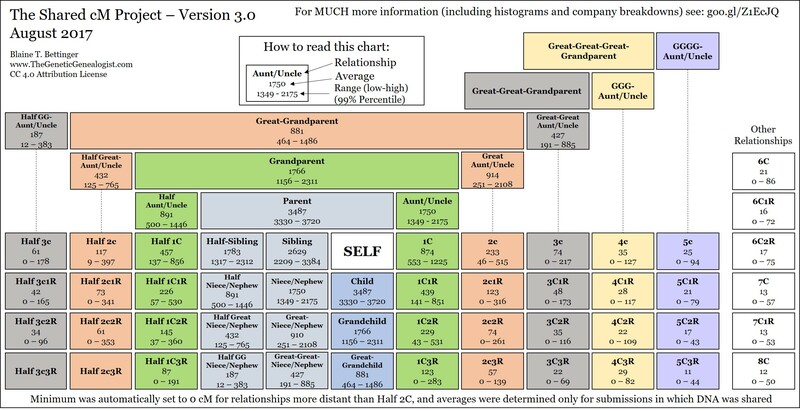 In addition to segment size, segment frequency may be another important consideration for genealogists. There are two ways to think about segment frequency: The first measurement of segment frequency is the frequency of a DNA segment among all humans. This is a number that is currently unknown, and can’t yet reliably be estimated even with simulations; there just aren’t enough people in the world who have tested yet. This is especially true for a segment that might be found outside of people with European descent as testing of these populations has been minimal or practically non-existent. ... Click to read more! Thinking About a BigY Test at Family Tree DNA? BigY is a Y-DNA test offered by Family Tree DNA. For a limited time only (August 2017), Family Tree DNA is offering BigY to existing customers for $395 (down from $575). 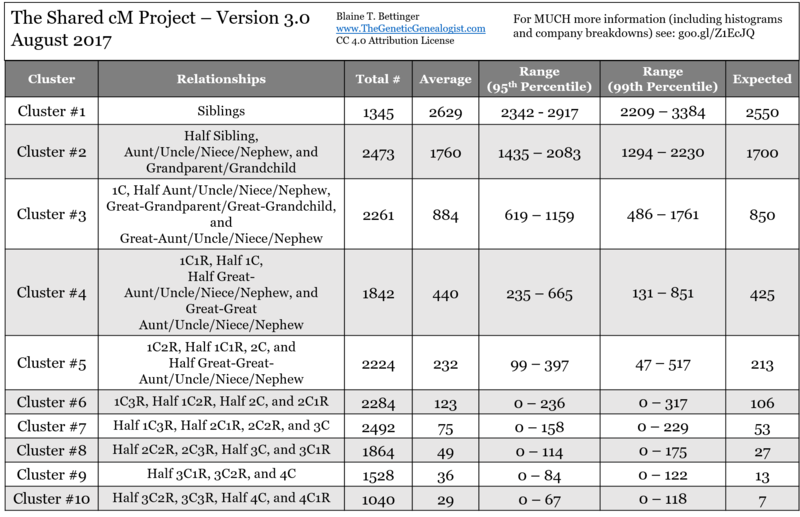 Typically, most Y-DNA tests taken by genetic genealogists are either STR or SNP tests. In contrast, BigY is a Y-DNA sequencing test available to male test-takers. The test sequences approximately 12 million base pairs of the Y chromosome, and identifies SNP results within those 12 million base pairs. 55X to 80X average coverage. Around 11.5 to 12.5 million base-pairs of reliably mapped positions of non-recombining Y chromosome. Analyzed using Arpeggi genome analysis technology for improved variant calls. All samples are processed in-house using our custom laboratory methods and informatics. Your sample never leaves our company and is never shared with outside vendors.. ... Click to read more!